29-06-2018: New surveys are coming more frequently now, on weekly basis. 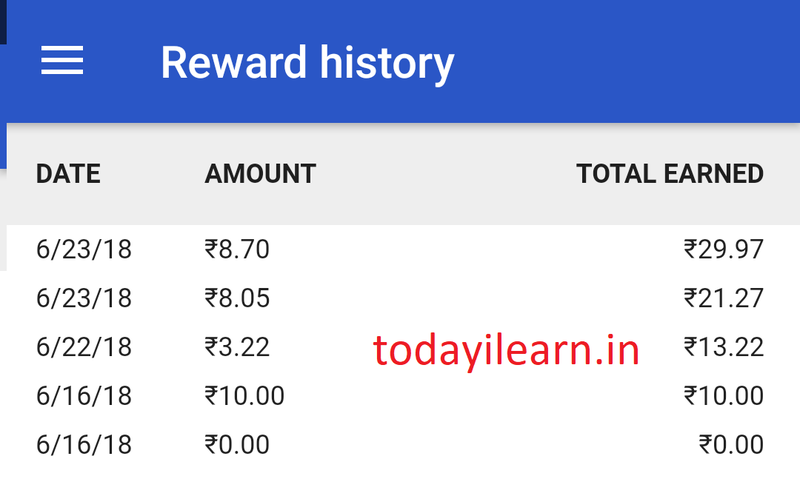 Latest reward proof is added. 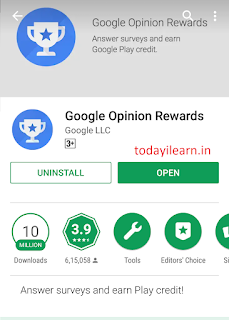 First, you need to download one App its called Google Opinion Rewards (Play Store link), created by the Google Surveys team. 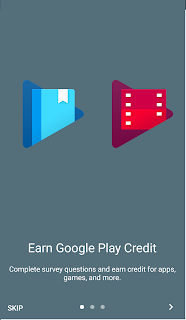 After then select and log in with your desired google account. Accept necessary terms and conditions. 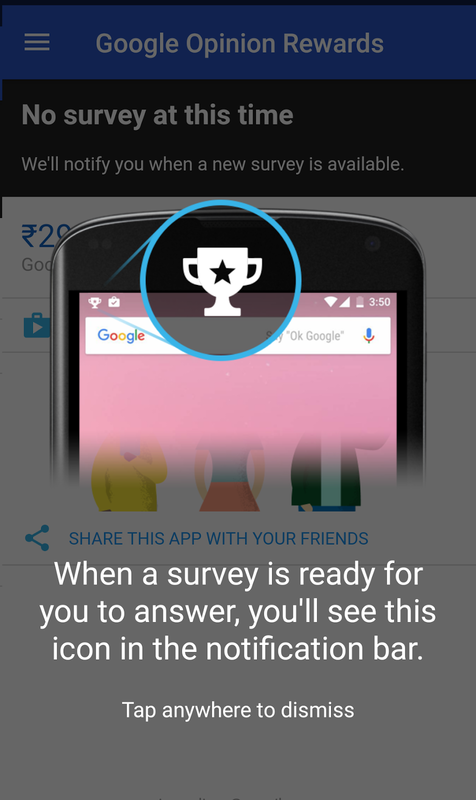 Go to setting of that app and enable 'Notification sounds' so that you'll know everytime a new survey is available. 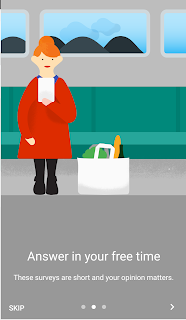 Give your generic personal information like your age, gender, location, languages etc. 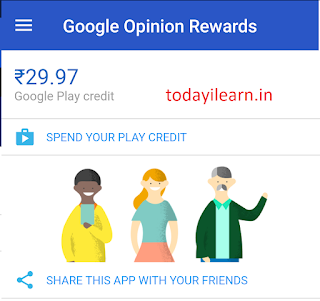 You'll get a sample survey from Google, answer few basic questions about yourself. 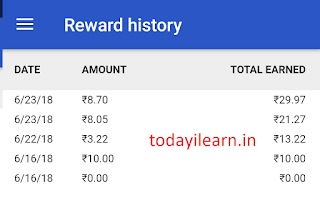 It'll reward you Rs 10 for this. 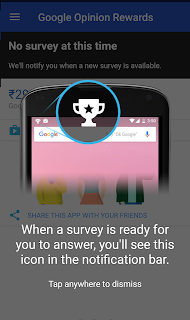 Now you are all set to take on surveys. Now, wait for new surveys around once a week, although it may be more or less frequent. 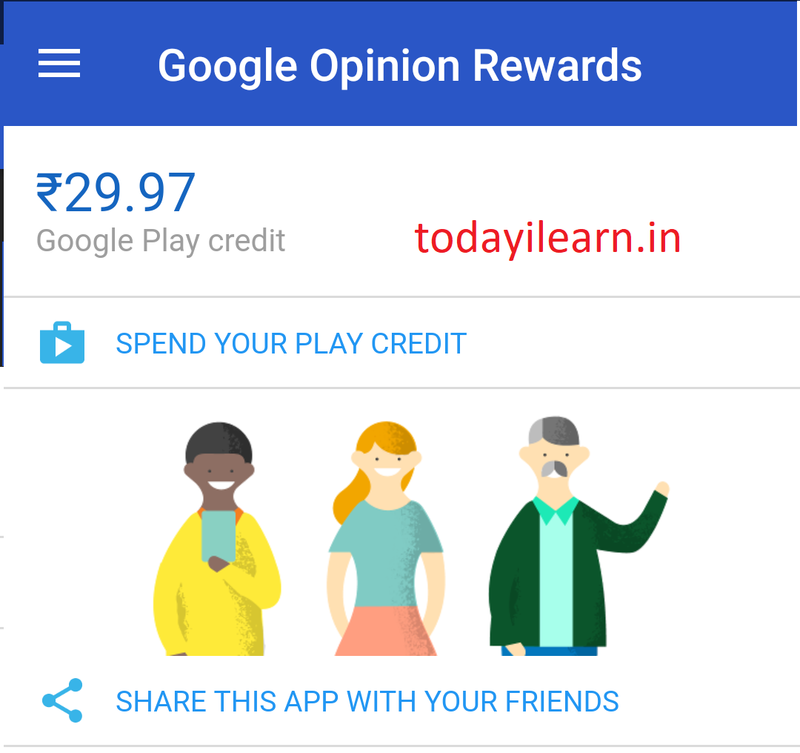 You'll get a notification on your phone when a short and relevant survey is ready for you and can receive up to Rs 50.00 Play credit for completing it. Questions can range from, "Which logo is best?" and "Which promotion is most compelling?" to "When do you plan on travelling next?" #Proof:- Now nothing is complete without proper explanation and the evidence. So here is the proof that it actually works. If you have any difficulty or any questions, ask in the comment sections. Thanks for your patience! 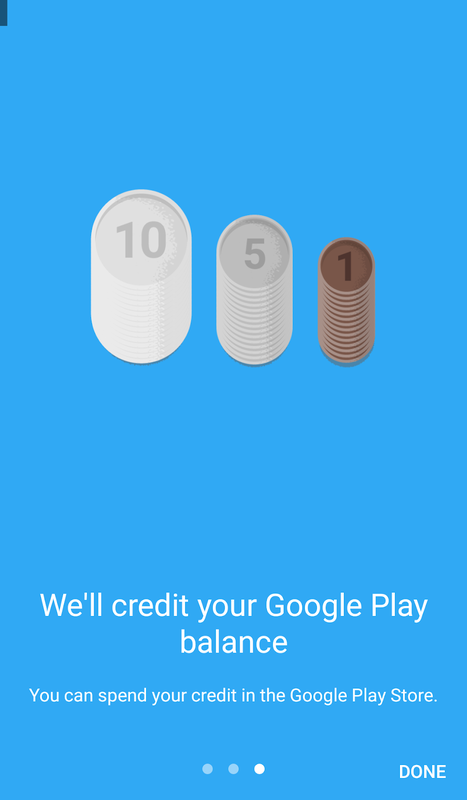 Can I deserve one Share? We'll reply to your queries at an earliest.